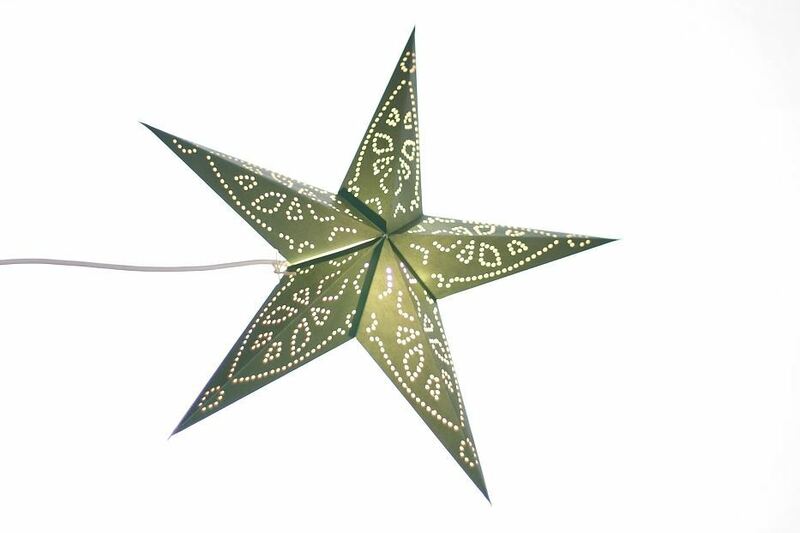 This lush green star lantern lamp shade with stylish punched hole detail is ideal to use in your home as a lamp shade and perfect for parties with a festive theme. 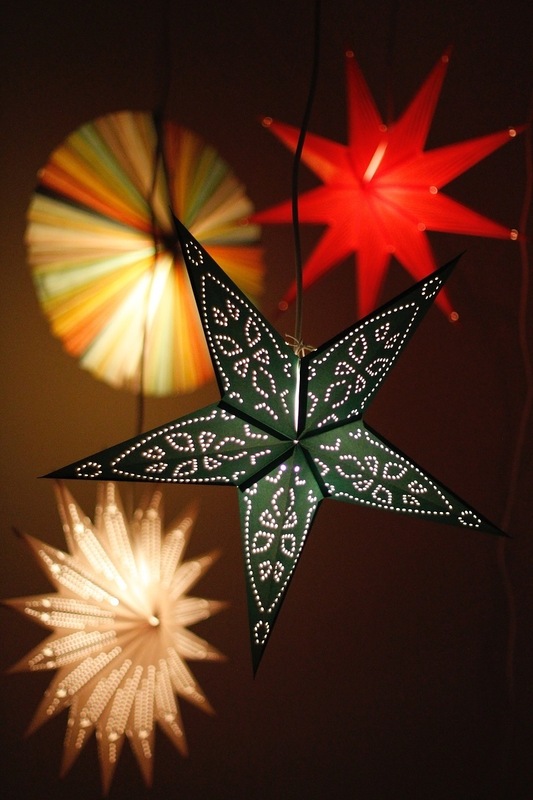 These lanterns also look fantastic when hung as part of a group. 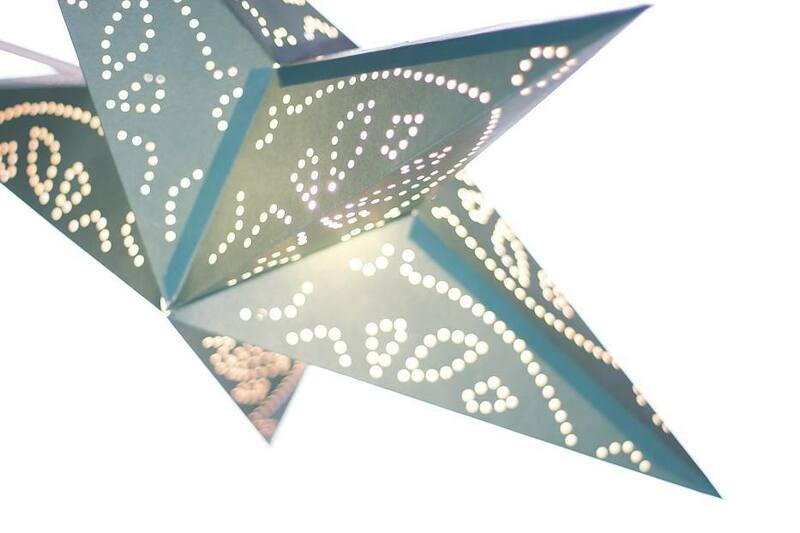 This lamp shade lantern can be used on its own without any additional lights for a simply charming display, or else attach over the top of an existing hanging bulb to make it shine radiantly from within. 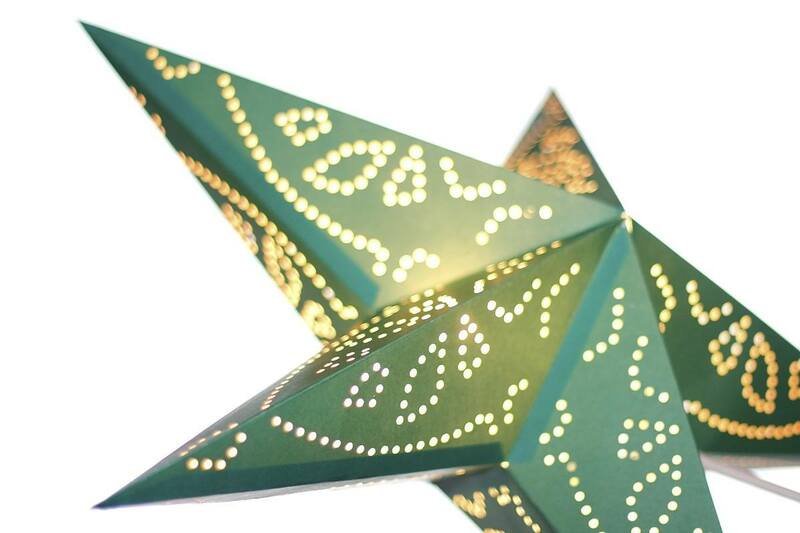 These make the perfect finishing decoration to go on the Xmas tree! Comes flat-packed in beautiful packaging and makes a wonderful gift.